^Photo for illustrative purposes only. Actual product will be contour cut to match tank. With better grip material, a better checker pattern, and superior adhesion qualities, the Tech Spec series of tank grips are miles ahead of any would-be competitor product. 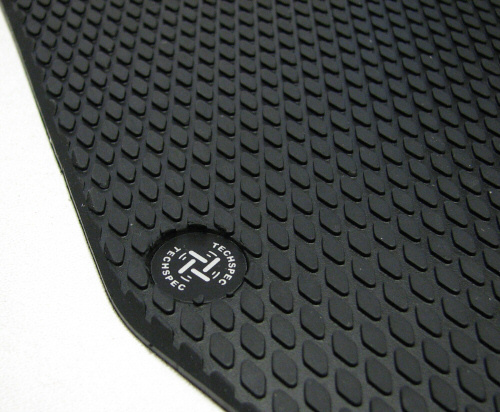 Tech Spec tank grips feature peel and stick adhesive backing and can install in minutes. 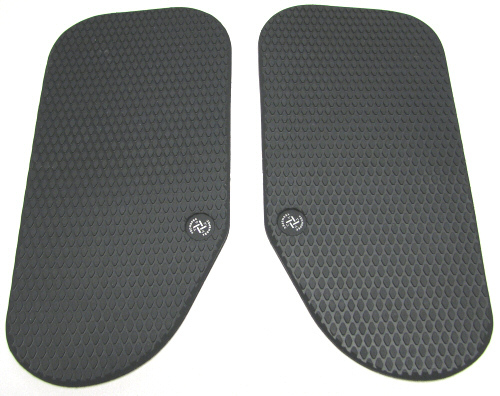 The superior gripping pattern on the pad, and it's greater than usual for a tank pad thickness (5mm) results in a far more secure grip for the riders leg in leaned over situations. Sold as a left and right pair.